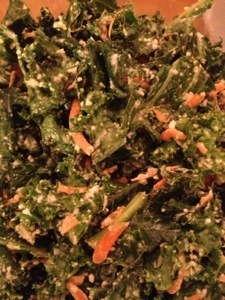 Best raw kale salad EVER! Wash kale under warm/hot water and massage out and dirt for about a minute, the heat from the water will soften the kale. Strain water from kale and set kale aside in a large bowl with shredded carrot and cabbage. In a food processor, (or blender if you don’t have a one) process cashews, almond milk, olive oil, lemon juice, oregano, and soy sauce. I like the cashew mixture a bit crunchy so less processing time, but some may like it smoother processing longer. 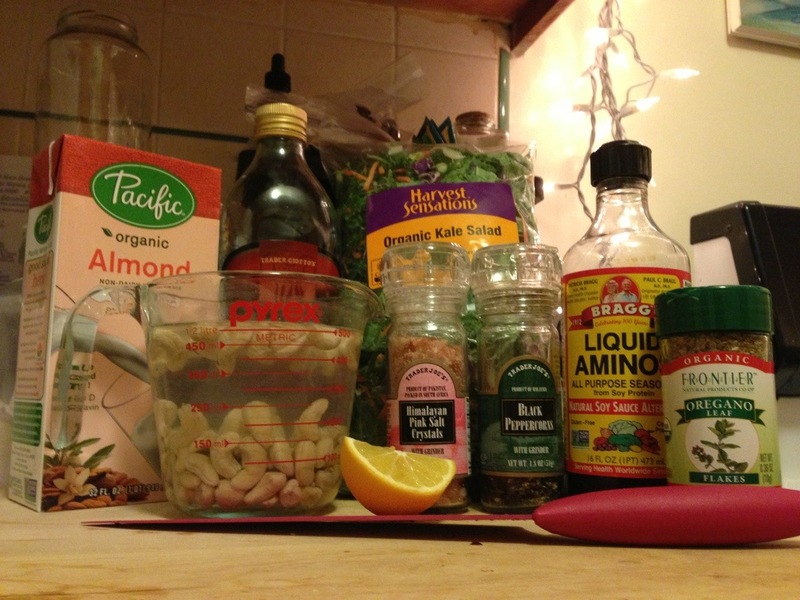 Mix cashew dressing in with kale salad. Add a little at a time and I like to mix it in with my hands since this is a thick dressing and spreads better massaged in. yummy! come cook for me soon!